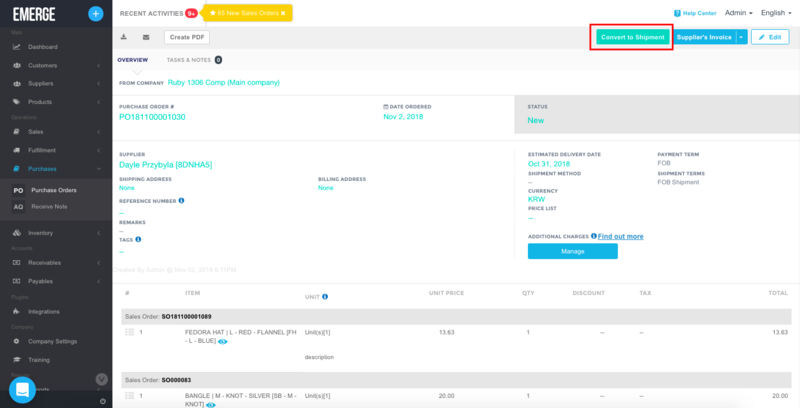 This feature allows you to issue dropship purchase(s) for multiple Dropship Sales Orders with the same supplier(s) and convert to multiple dropship shipments for each customer. Select Dropship Sales Order(s) that have product(s) from the same supplier, click Save. Now that you have Dropship Purchase Order(s), convert them to separate Shipment(s) based on the customers and continue the steps as usual for Dropship Sales Order. 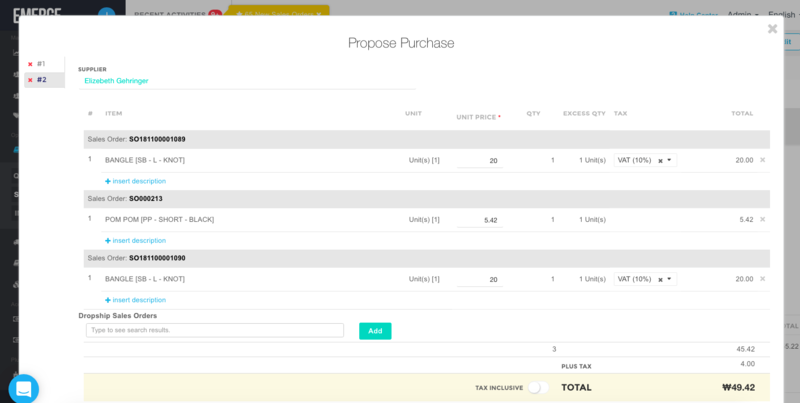 Sales Order/Customer's Invoice: Create Deposit note from Sales Order.